Early diagnosis and prompt anatomical reduction ensures good clinical outcome in Convergent Dislocation of Elbow in Children. 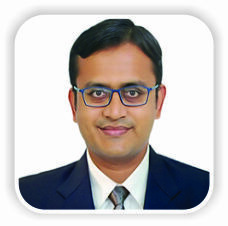 Department of Paediatric Orthopaedics, Health and Care Foundation, Ahmedabad, Gujarat, India. 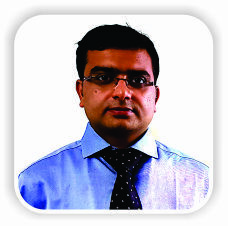 Consultant Paediatric Orthopaedic Surgeon at OrthoKids Clinic, Drive-in Road, Ahmedabad – 380052, Gujarat, India. Introduction: Pediatric traumatic elbow dislocation is an uncommon injury accounting for 3–6% of all pediatric elbow injuries. It can present as an isolated injury or in association with fractures of radius, ulna, or humerus. Posterolateral type is the most common accounting for 70% of all pediatric elbow dislocations. Other less common types are anterior, medial, lateral, convergent, and divergent dislocations. We describe an unreported variant of convergent elbow dislocation. 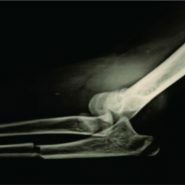 Case Report: This is the case report of a convergent elbow dislocation with a radial neck fracture and proximal ulna fracture with ulnar nerve paresthesia in an 11-year-old boy. To the best of our knowledge, this is the first case report with these concomitant injuries. Conclusion: The current case shows stepwise approach to this variety of injury where anatomical reduction of both ulnar and radial fractures was required to achieve a good range of motion at the elbow and forearm at the long term. Keywords: Elbow dislocation, Monteggia, Pediatric. Pediatric traumatic elbow dislocation is an uncommon injury accounting for 3–6% of all elbow injuries . It is more commonly seen in the second decade due to partial closure of the growth plates. Posterior or posterolateral dislocation is the most common type accounting for 70%  of all paediatric elbow dislocation. Other less common types are anterior, medial, lateral, convergent, and divergent dislocations . In convergent elbow dislocation, translocation of the radius and ulna occurs, with ulnar displacement of the radius and vice versa in divergent elbow dislocation . We report a case of combined posterior and convergent elbow dislocation with a radial neck and proximal ulna fracture along with ulnar nerve paresthesia in an 11-year-old boy. An 11-year-old, right-hand dominant boy injured his left elbow due to fall from a tree with a height of eight feet on an outstretched hand. He went to a primary orthopedic surgeon who diagnosed it as Monteggia fracture-dislocation. The patient was referred to us for further treatment. Clinically, there was severe pain, tenderness, and swelling along left elbow. Neurovascular examination revealed paresthesia in ulnar territory and clawing of ulnar two fingers. Distal radial and ulnar pulsations were normal. Initial radiographs (Fig. 1a and 1b) showed a posterior elbow dislocation with displaced radial neck fracture with proximal ulna fracture. The anteroposterior (AP) radiographs showed translocation of the radius and ulna, with medially displaced radius and laterally angulated ulna. We diagnosed it as a case of convergent elbow dislocation with a radial neck and proximal ulna fracture with ulnar nerve paresthesia. We planned for emergency close/open reduction under anesthesia and internal fixation in case of persistent instability. After informed written consent, close reduction was attempted under general anesthesia, but elbow was found unstable. Ulnar closed antegrade nailing was done, but elbow joint was found still dislocating on the extension, then open reduction of radial neck fracture was done through lateral approach. The shaft of radius was gently brought laterally, and radial head was reduced over it. 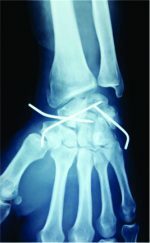 The fracture was stabilized with a K-wire. After radial neck fracture fixation, elbow joint became stable through a full range of movement. An above elbow slab was given for 3 weeks post-surgery to secure the fixation and for soft tissue healing. Slab was removed, and gentle passive- and active-assisted range of motion exercises was started. Ulnar nerve paresthesia resolved progressively, and complete recovery was noted in 2½ months post-surgery. At 2½ months after surgery, the patient had 10–100° of elbow range of motion with terminal restriction of pronosupination. Radiographic examination of the patient’s left elbow at 2½ months (Fig. 2a and 2b) showed the anatomical alignment of radiocapitellar and ulnohumeral joints as well as stable, although incomplete, bony healing of radial neck fracture. No evidence of radioulnar synostosis was noted. At 1½ years follow-up (Fig. 3a and 3b), the patient reported an almost full painless range of motion with terminal restriction of pronosupination as compared with the uninjured side. He participated in sports and activities of daily living without any restrictions. The radiographs (Fig. 4a and 4b) showed maintenance of the alignment of radiocapitellar and ulnohumeral joints in all planes. To date, <20 cases of convergent elbow dislocation have been reported . Half of them were associated with concomitant fractures of proximal radius, ulna, or humerus, but none of them was associated with the combined proximal ulna and proximal radius fractures. To the best of our knowledge, this is the first case report with these concomitant injuries. Majority of these dislocations had nerve injuries in the form of transient sensory deficit of ulnar nerve. Most common hypothesis suggests that convergent elbow dislocation occurs due to injury over outstretched hand with elbow slightly flexed and hand fully supinated. When elbow is axially loaded in this orientation, tremendous valgus strain is generated leading to rupture of medial ligaments of elbow and compression and shearing stress on radial head and neck region . These forces also lead to fracture of radial neck before rotatory translation and pivoting of the radius in medial position. A report of three cases of convergent elbow dislocation in 2010 postulated that hyper-pronation with disruption of annular ligament and brachialis tendon is an injury of necessity for translocation of the radius and ulna to occur . Transposition of proximal radius and ulna can be easily missed on X-ray, especially after reduction of posterior dislocation of elbow. Most of the times on lateral view, elbow joint looks well reduced. On AP view, the radial head articulates with the trochlea and ulna with the capitellum, which can be overlooked. Independent of radiographic view, the radius should always articulate with the capitellum (radiocapitellar line). Clinical examination post reduction of elbow dislocation is critical to identify this abnormality. In case of loss of the supination after reduction, reinspection of the radiographs should be performed to exclude convergent elbow dislocation. Yu et al. described the classification of Monteggia equivalent fractures  although this type of injury pattern has not been described in the classification. Late diagnosis and treatment of a convergent elbow dislocation are associated with a significant reduction in the range of motion, particularly supination [9, 10]. Scullion reported a delay in the radiographic union of the radial neck fractures in cases of convergent elbow dislocation with radial neck fractures. Majority of convergent elbow dislocation cases reported required open reduction with or without internal fixation. The current case shows stepwise approach to this variety of injury where anatomical reduction of both ulnar and radial fractures is required to achieve a good range of motion at the elbow and forearm at the long term. It is the first reported case of convergent elbow dislocation with radial neck and proximal ulna fracture. Despite associated injuries, the result was excellent. Early diagnosis and treatment in the form of open reduction and fixation is the key to the successful long-term result. 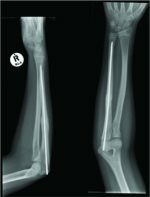 This case report explains the stepwise approach to achieve an anatomic reduction in the case of convergent elbow dislocation with a radial neck and proximal ulna fracture. 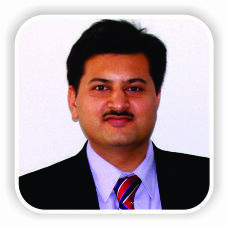 Early treatment and anatomical reduction ensures the good clinical outcome. 1. Subasi M, Isik M, Bulut M, Cebesoy O, Uludag A, Karakurt L. Clinical and functional outcomes and treatment options for pediatric elbow dislocations: Experiences of three trauma centers. Injury 2015;46:S14-8. 3. Transverse divergent dislocation of the elbow in a six-year-old boy: case report. Nakano A, Tanaka S, Hirofuji E, Yasuwaki Y, Yamamoto T, Kubota S, Dan H, Yanase Y. PMID: 1732564. 4. Carey RP. Simultaneous dislocation of the elbow and the proximal radio-ulnar joint. J Bone Joint Surg Br 1984;66:254-6. 5. Parikh SN, Lykissas MG, Mehlman CT, Sands S, Herrera-Soto J, Panchal A, et al. Convergent and divergent dislocation of the pediatric elbow: Two case reports and comprehensive review of literature. J Pediatr Orthop B 2014;23:158-67. 6. Isbister ES. Proximal radioulnar translocation in association with posterior dislocation of the elbow. Injury 1991;22:479-82. 7. Combourieu B, Thevenin-Lemoine C, Abelin-Genevois K, Mary P, Damsin JP, Vialle R. Pediatric elbow dislocation associated with proximal radioulnar translocation: A report of three cases and a review of the literature. J Bone Joint Surg Am 2010;92:1780-5. 8. Yu T, Zuo Y, Wang Y, Zhou H, Wang G, Yi F, Zhang L, Wang J, Xing A, Ma J. Classification and treatment of Monteggia equivalent fractures in children. PMID: 24501888. 10. Harvey S, Tchélébi H. Proximal radio-ulnar translocation. A case report. J Bone Joint Surg Am 1979;61:447-9. How to Cite This Article: Gupta G, Makadia A S, Shah M M. An Unreported Variant of Convergent Dislocation of Elbow. Journal of Orthopaedic Case Reports 2018 Nov-Dec; 8(6): 79-81.